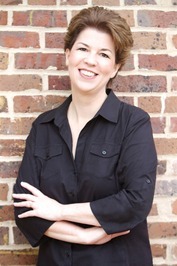 Jane Graves is the New York Times and USA Today bestselling author of twenty contemporary romance novels. She is a nine-time finalist for Romance Writers of America's Rita Award, the industry's highest honor, and is the recipient of two National Readers' Choice Awards, the Booksellers' Best Award, and the Golden Quill, among others. Jane lives in the Dallas area with her husband and a beautiful but crafty cat who rules the household with one paw tied behind her back. Jane Graves hasn't written any blog posts yet. We’d love your help. Let us know what’s wrong with this preview of Wild Montana Sky by Debra Holland. We’d love your help. Let us know what’s wrong with this preview of Dirty Little Secrets by Liliana Hart. We’d love your help. Let us know what’s wrong with this preview of The Last Bride in Ballymuir by Dorien Kelly. We’d love your help. Let us know what’s wrong with this preview of Whiskey Sour by Liliana Hart. We’d love your help. Let us know what’s wrong with this preview of The Rest Falls Away by Colleen Gleason. We’d love your help. Let us know what’s wrong with this preview of Chosen by Denise Grover Swank. We’d love your help. Let us know what’s wrong with this preview of Love... From Both Sides by Nick Spalding. “Well," Fred said. "Gotta go. You two come by for dinner soon. I'll barbecue something." What Book do you want to read for the October Group Read? Hi,Jane! Thank you for the friendship.